If you need to be reminded just how miserable lifetime Wii U hardware sales were, Niko Partners analyst Daniel Ahmad has shared a number of charts on Twitter, comparing Nintendo system sales as of 31st December 2018. Noticeably, the combined sales of the SNES Mini Classic and the NES Mini Classic are expected to surpass Wii U lifetime sales, within the space of two years. To date, the Wii U has sold 13.56 million units. As NintendoSoup points out, combined sales of the classic systems could overtake the Wii U before the end of the fiscal year, ending 31st March 2019. While it might seem unfair to combine the sales of these two retro-powered systems, this newer hardware did not receive the same level of marketing or support as the Wii U. The Wii U had a midnight launch worldwide, ongoing support for multiple years, online capabilities and even offered its own digital library of retro games. In contrast, the SNES and NES Classic systems were sold in limited supply, which only increased demand. The success of these nostalgic Nintendo products hasn’t happened overnight. System sales for these devices over the past year have been outselling modern hardware. As of October 2018, the combined global sales hit the 10 million mark. Now if only Nintendo could follow this up by releasing more classic goodness on the Switch. Hold up – it just did. I still hope we see at least a Game Boy Classic Mini. It's like Tickle Me Elmo all over again. Make your product hard to find, and suddenly everyone wants one. Wii U was the worst one. Btw, here is my rank for every Nintendo consoles. I don't know if this indicates the strength of the mini classic consoles, or the weakness of the Wii U. Stuff like getting outsold by classic console emulators is going to make people remember the Wii U as a bad console...it was a financial failure but it isn't bad, It has some fantastic games! I still had loads of fun with the Wii U, but yeah this is a little sad. But that's behind us now, the Switch is doing really well for itself and doesn't seem like it's going to stop anytime soon. More interesting to me is that the Switch has nearly passed up the N64 and isn't that far behind the SNES. I don't want anymore mini consoles however. I want them to program emulators for the Switch. Whether we get those games in collections on a game card, or via NSO or something else. Or in place of mini consoles, Nintendo could release a dedicated retro console. Something with an eshop for downloading additional titles and perhaps even supporting original games. But what I don't want is a pile of plug and play consoles, one for each retro platform. @Heavyarms55 What if both become a reality so you can choose your favourite? Collections on a gamecard or via NSO, and plug and play mini retro consoles. I personally love both and I could definitely see Nintendo doing both. @Heavyarms55 "More interesting to me is that the Switch has nearly passed up the N64 and isn't that far behind the SNES." And this is done in only about 2 years only of production. @Yosher Of course I would be completely okay with having the different options. And to be honest assuming I had the cash to spare, I would probably buy both the mini console and the Switch version. As a collector's piece and display item I do like them. I just resent the fact that their existence seems to be as a replacement for those games being on the Switch - which is where I would prefer to actually play the games. Poor Wii U, even the Mini consolation troll him. Well at least he can act almighty alongside the Virtual Boy. This is more of an indictment on the Wii U than praise for the novelty mini consoles. Imagine what the sales would look like if they were continually mass produced. @Heavyarms55 That is a statement I can definitely get behind- aside from 'resenting' their existence as a replacement for the games on Switch. I mean, I'm still not happy with that of course, but there's still NES games on Switch, and there has been found some evidence of SNES games coming in the future as well (unless they just put that into an update to throw off dataminers or something). Either way, one doesn't necessarily exclude the other, so for now I'd say wait and see what Nintendo has in store in the future. But if I could choose only one over the other, I'd definitely choose the games being on the Switch rather than having the mini consoles as well. @Yosher There are NES games on Switch and I do have NSO. 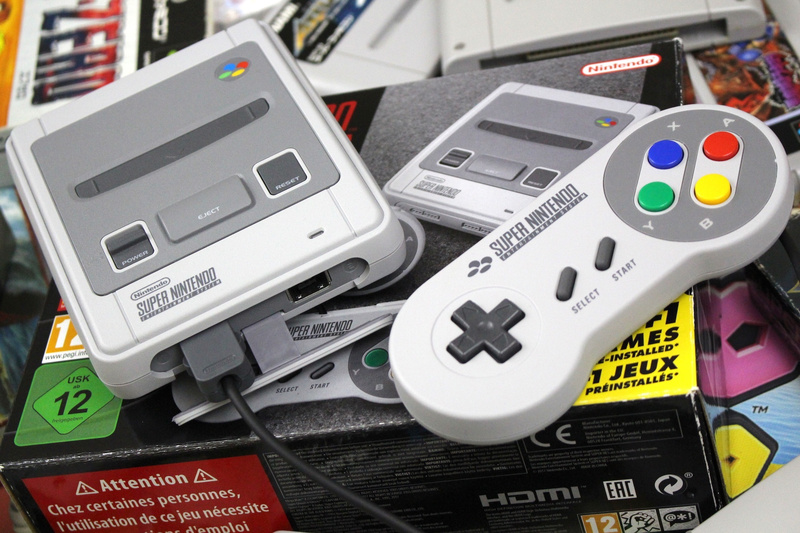 But it took them well over a year to roll out that service and updates to it have been so infrequent and piecemeal that it seems SNES games wont be on it until 2025 and later systems never. The mini consoles and more retro games on the Switch don't need to to be exclusive to one another but that certainly seems to be how Nintendo is treating it. Could've brought the minis up for one more run with those sales. @Heavyarms55 That is unfortunately true, yeah. I'm just holding onto the hope that Nintendo will improve their classic game offering on Switch before too long. That, and I can't imagine Nintendo not putting their classic stuff, up to at least N64, back onto the Switch, especially now that the Wii Shop Channel is dead. But, then, I also couldn't imagine them doing away with Virtual Console as a whole and here we are, so... uhm. I'm still gonna be optimistic and have faith in them for the time being, and hope that Nintendo doesn't see the mini consoles as a replacement, but if at least SNES games don't get added to the Switch library this year then I'm probably not gonna have much hope for it anymore either. Yes, the WiiU sales were trash compared to other things but we cannot deny the unique, fun & memorial experiences on that system like skell battles in Xenoblade Chronicles X, or stage making with Super Mario Maker or and even Nintendo Land's carnival like experience. It was really cool. Never thought the Wii had such a long wiener. @joey302 Piracy at its best alright. Such is the Power of Nintendo! Some day like the Wii shop channel, the Switch online services will be closed barring any access to any games we have access to now and in the Switch’s future and then you just won’t be able to play them! The lack of a purchase option is soooo glaring and nonsensical with this service! @ReaderRagfihs For a moment there I thought you said Tickle Me Emo. If anyone modded their minis its Nintendos fault for hoarding their classics and other publishers for not re-releasing them. Games were meant to be played! @Charlie_Girl A healthy mixture of both, I think! @ReaderRagfihs Yup, that's the one. What I took away from the chart is that the Switch is just about to eclipse the sales of the N64. It’s got legs! It's just good to see a Nintendo console selling this well. It's very soon going to be the 4th best selling console of theirs and likely will overtake the SNES as well to claim 3rd. I find it amazing that in business terms every Nintendo home console was a failure after the NES till the Wii. The Wii U Classic will probably outsell the Wii U. @Antraxx777 " Let’s hope the rumor that PS5 is completely Sony BC turns out to be true"
What do you mean? Do people think the PS5 wont be completely Sony? What else would it be, Samsung? I am reading this plus most sites on my wii u still. The best console browser for your tv by far. @Charlie_Girl Why would someone down vote that comment? I always thought it was rubbish. Bring on the N64 mini ! @RadioHedgeFund : They would probably fetch for more on eBay too. @westman98 : You mean the Switch? We have both of them, and they are really a joy to use! @Heavyarms55 I’m talking about rumor that Sony will feature complete backwards compatibility of their extensive library on PS5. Probably just wishful thinking though. @Antraxx777 Everything? My God, if they did that, that would be amazing! And the price of older PS1-3 games would jump through the ceiling! Can we get the Wii U an F in chat? To be fair, you could sell bags of cat poop for £10 each and it'd outsell the Wii U. Not the best metric for success.